Mt. Asog, also known as Mt. 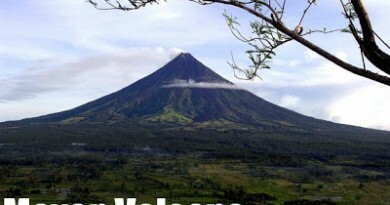 Iriga, is an old volcano in the Bicol Region. Although it is outshined by the world-famous Mt. Mayon to the south and the higher, grander Mt. Isarog to the north, it possesses its own charms. For one, the views at the peaks (yes, plural) are breathtaking, offering a view of Mt. Mayon, Mt. Malinao, at Mt. Masaraga on the south; and even a distant Catanduanes southeast. Knife-edged slopes characterize the contour of this mountain, especially in the Buhi side. Mt. Asog has a colorful history. It was named after a ancient datu (chieftain) of the Agtas named Asog, who reigned over the region. Sometimes it is also called Mt. 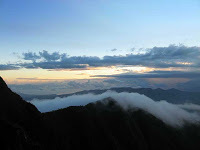 Sumagang, which means “Mountain of the Rising Sun”. In some lowland areas, the sun seemingly rises from the mountain itself. Being on the eastern side of Luzon, the sun rises majestically from the Pacific Ocean when viewed from its summit. A climb to Mt. Asog is usually combined with a Mt. 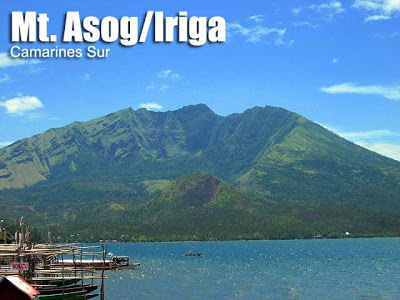 Isarog expedition; this maximizes a mountaineering trip to the Bicol region. From Naga, you can take a bus to Iriga City. Transport options vary depending on the trail you will take. The Ilian trail requires just a tricycle/jeep ride to the jump-off whereas you may proceed to the town of Buhi for the alternative trail via Brgy. Cabatuan. Both trails are suitable although the latter is a more extensive exploration, using the Esplana campsite as a ‘base’, from which you can explore the Dead Crater on the first day and the summit on the next. On your way down, you can use Brgy. Santiago which is closer to Iriga City; or Brgy. San Roque in Buhi. The large width of the mountain gave rise to a number of trail variants; however, PinoyMountaineer has yet to hear of a traverse from the two popular jump-offs. An excellent sidetrip to Mt. Asog, especially if you’re passing by the Buhi side is nearby Itbog Falls, in Brgy. Sta Cruz. This falls on the distal side of Lake Buhi, which requires minimal (30 minute) trekking, is set on a verdant location, and is a ‘twin falls’ much like Bunga Falls in Nagcarlan, Laguna. The famous Lake Buhi is of course also a must-visit. You can take a boat ride around this lake and visit an island within, La Roca Encantada. Meanwhile, in the Iriga, there is Sabang Falls. Also, there is a tribal Aeta village in Ilian Hill i.e. within the jump-off barangay. 1200 Reach summit (one of the peaks). 1140 MASL. Lunch. 1700 Return to Naga / Manila or continue to side trips. Mt. Asog is classified as a stratovolcano. 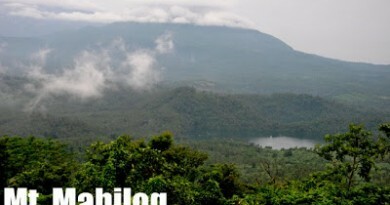 The nearby Lake Buhi was formed from Asog’s last volcanic eruption on January 4, 1641. This same eruption is responsible for the abrupt, knife-edged landforms that characterize the mountain slopes. Lake Buhi is famous for its tiny inhabitants, the sinarapan (Mistichtys luzonensis). Contrary to common belief, however, sinarapan is not the smallest fish known. Another goby, Pandaka pygmaea, also found only in the Philippines, is the smallest known vertebrate and, like its cousins in Lake Buhi, are an endangered species. 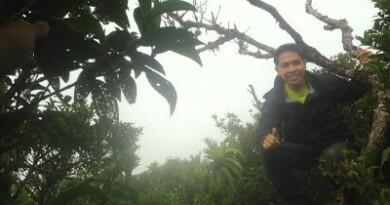 Thanks to Sir Erick Bautista of OLAY Mountaineers for the picture of Mt. Asog with Lake Buhi. 73 Comments on "Mt. Asog (1,140+)"
1 day lang po kaya na akyatin? update lang po sa mt. asog; ive been there in the summit yesterday, wla na yung cafgu camp sa sitio Ilian kaya kung kukuha kayo ng guide ask nalang kayo sa chieftain ng aeta tribe doon. nag va-vary ang singil ng guide, depende sa knila. yung siningil sakin 500. about the trail, its very challenging, cogon grass near the summit, combined with the heat of the sun all the way from 1,500ft. up to the peak. wear a longsleeve and bring at least 2 liters of water. sorry about the latest contact number posted above. it should be 09298238695 for RODEL ARINES. then look for DIONISIO ORBON to guide you.